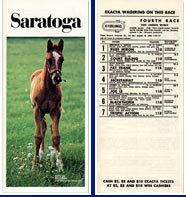 Now that Secretariat had won his maiden race, and become a winner, the next step up in competition was an “allowance” race, where he would face horses that had all won one race. The Big Red horse was no secret to racing fans. 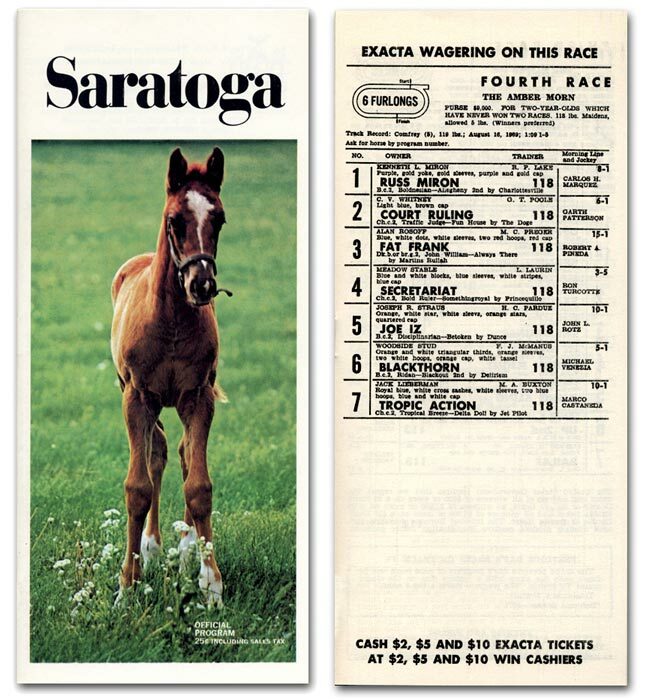 The racing fans who annually make a late-summertime pilgrimage to Saratoga Race Course would be looking for big things from Secretariat, and the son of Bold Ruler did not let them down. Bet down to 40 cents on the dollar in this race, Secretariat won nicely and this time was in the hands of a new jockey, Canadian-born Ron Turcotte, who was the stable’s top rider. There are continuing steps up the allowance race ladder, races for horses who have won one race, then for those who have won two races, etc. However this would be the last allowance race Secretariat would ever run in. He was too good. It was time for stakes races.